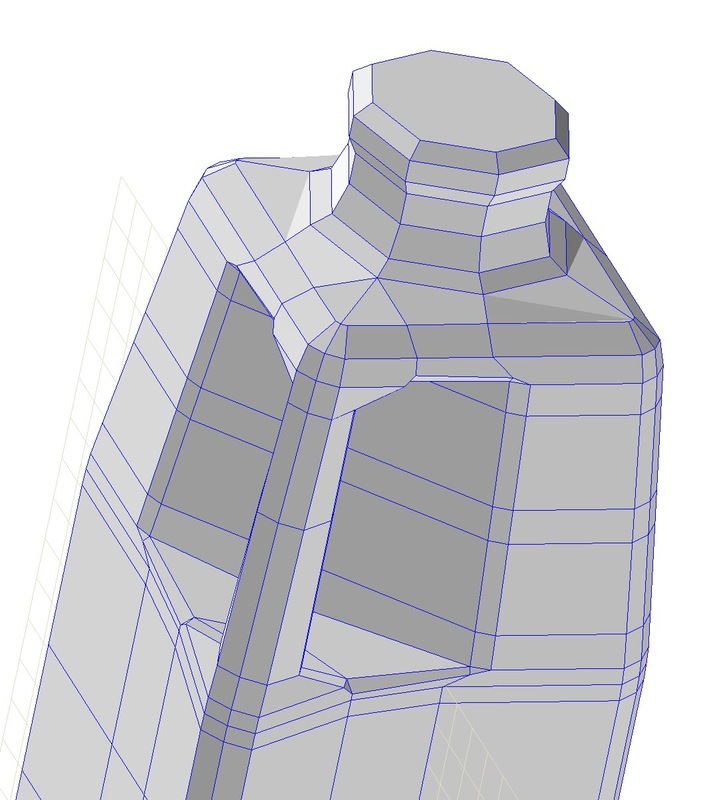 I often need to add detail to certain sections of a mesh, esp to better define contours, edges, etc. Sometimes when using the Bevel Element Tool (in Poly edit) on edges, a triangle will appear, and they can be very awkward to resolve. I'm guessing this is where art & geometry meet, and there's probably no simple rule to avoid this. Any expert solutions to avoiding this game of whack-a-mole would be appreciated. I have attached screenshots of a current scenario. As you plan out how you're going to build the shape of your model, keep your "Flow zones" in mind. 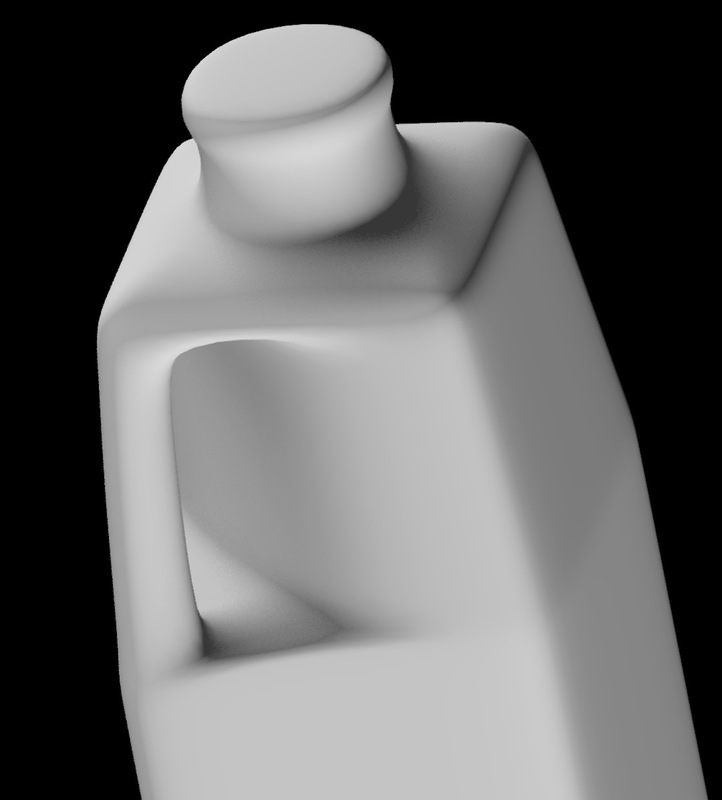 That is, try to keep in mind where you will need your edge loops to wrap around the model to create additional detail, and make sure your geometry wraps around the shape to accommodate that "flow"
If you're making a somewhat rounded shape that will eventually have some sharper details added to it. Its usually a good idea to start your primitive shapes with a much higher resolution than usual. This way, the curvature of your shape will already account for higher detailed additions without having to spend lots of time trying to shoe-horn in extra edge loops after you add in those details. Strata's modelling tools are extremely out of date. It's a stick-shift, not an automatic, so you'll have to do the work yourself. Most modern bevel tools have the option to create corners without triangles. 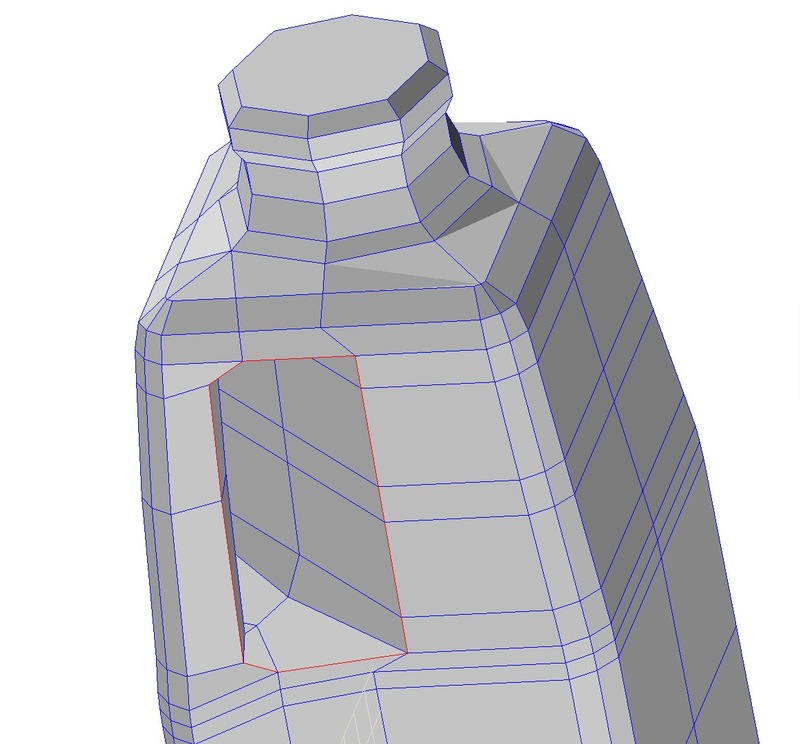 It's pretty standard now to expect tools that allow you to easily change topology, and clean up meshes. Strata is unforgiving when you don't perfectly plan your topology from the beginning. Thanks Wally B. Sounds like a perfectly accurate assessment. With this particular model, it seemed best to start with a very primitive form & add detail where needed, esp when constructing the handle. Agreed on the modeling tools. 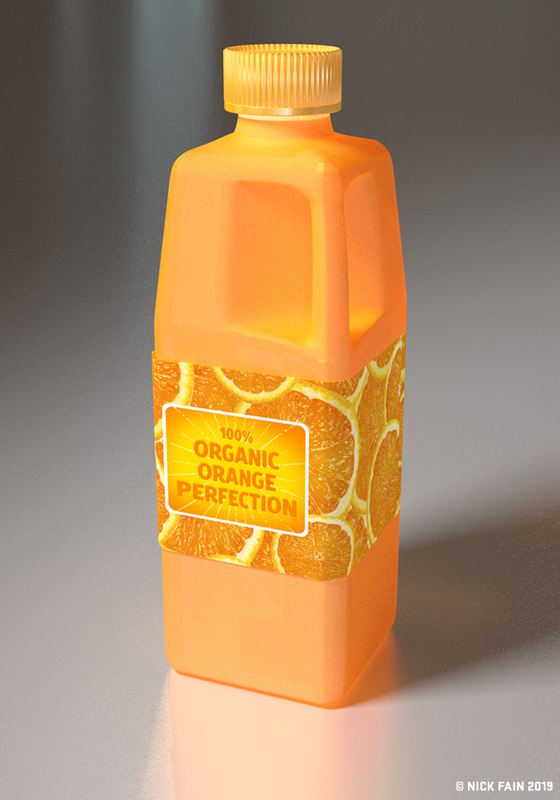 My brain is lopsided to the right, so it's not easy for me to master the depths of high end modelers like Modo. I've always like the Mac-liked intuitive simplicity of Strata. But every app is a compromise.